The reality series Swamp People follows Louisiana natives as they hunt alligators on the Atchafalaya River Basin. The popular History Channel is currently in its 10th season, and fans watch as our favorite cast mates try to tackle (literally) the high-risk task of alligator hunting, which provides the majority of their income for the year. The show follows different teams of hunters as they navigate the treacherous waters during the 30-day season. Willie Edwards has captured fans’ attention since the pilot and continues to be a key figure on the show. While he used to hunt alongside family members — his father Junior (father) and his late brother Randy Edwards — Willie is solo this season. 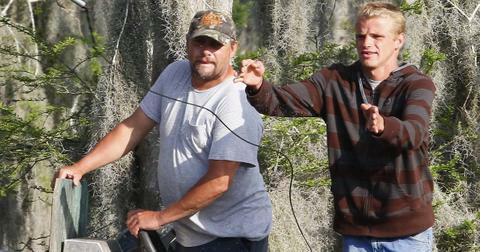 So, here’s what you need to know about our favorite Swamp People star. Who is Willie Edwards’ Wife? Willie learned the tricks of alligator hunting through his father Junior, and he is hoping to pass on his family’s tradition to his own kids. Willie is married to Sherrie Edwards and the couple have three children together — sons William IV and Landon, and a daughter named Michaela. How Did Willie Edwards' Brother Randy Die? 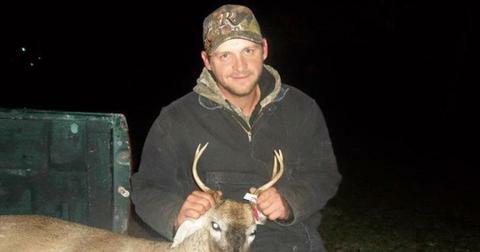 In September 2018, Randy Edwards was pronounced dead after a fatal car accident. According to state police, Randy's car struck a pole, which caused the Chevrolet Silverado to flip. He was then ejected from the vehicle and his injuries were fatal. At the time, a statement was posted on Willie and Juniors shared Facebook page from cast member Ronnie Adams. "It is in deep sadness that I make this post. Junior and Theresa's son, Willie's brother, Randy passed away in a vehicle accident early this morning. Randy was 35. Please keep the Edwards family in your prayers and also please respect their privacy at this time." “Junior is one of the last remaining year-round commercial fishermen in south Louisiana that supports his family solely on commercial fishing. The independent swamper lifestyle agrees with Junior; the one time he tried working for someone else, he only lasted two weeks. But that doesn’t mean he doesn’t possess an extraordinary work ethic,” a statement on the website reads. How Much is Willie Edwards Worth? Though Willie’s father Junior took a break from filming the popular show, their combined net worth is reportedly an estimated $500,000. While they do make their income via year-round commercial fishing and hunting, they also make royalties from the television show, which premiered in 2010. Watch new episodes of Swamp People on Thursdays at 9 p.m. ET on the History Channel.